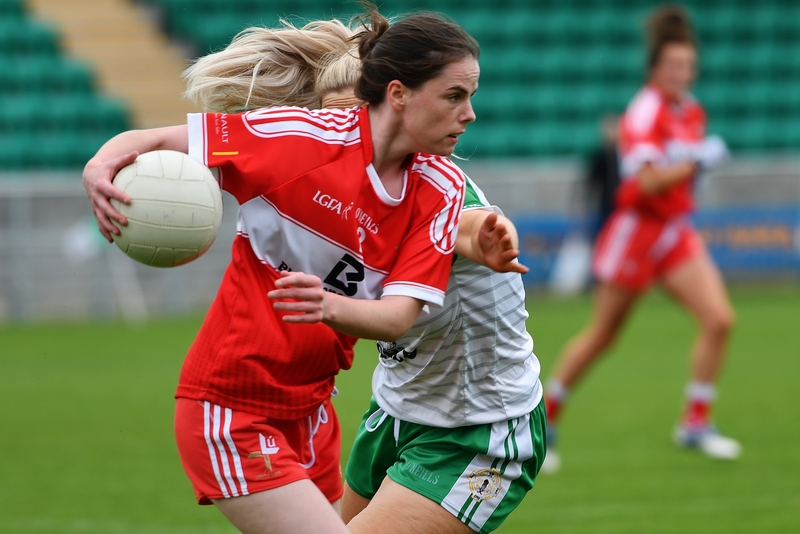 Louth ladies qualified for the last four of the All-Ireland Junior Championship as group winners after seeing off London in Ruislip on Sunday afternoon. Victory earnt the Wee County a semi-final date with Ulster champions Derry on August 25/26, while the Exiles must face Limerick for a place in the Croke Park decider. 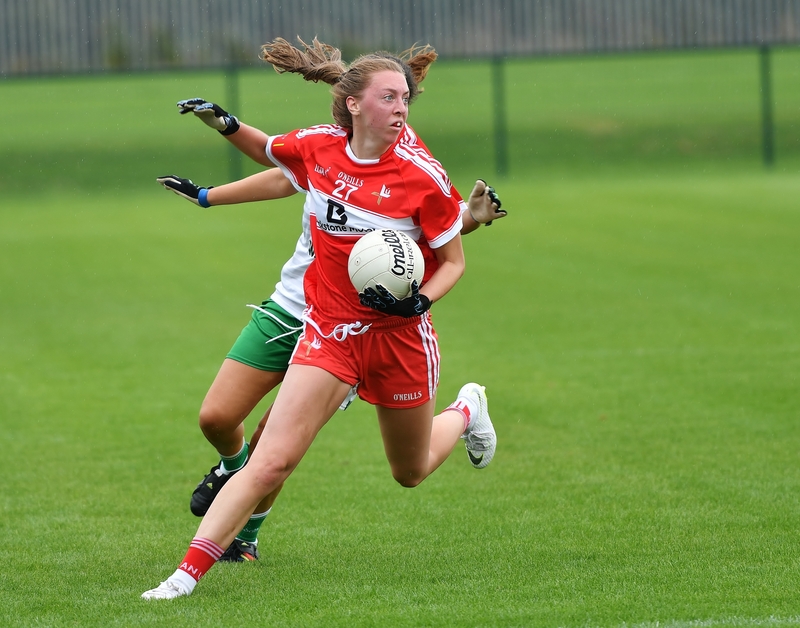 Louth’s strong finish and their ability to not only adapt, but flourish, during Ceire Nolan’s first half sinbinning were the difference. The home side led 1-4 to 0-2 after 17 minutes. The goal came courtesy of some patient build-up play before Lisa Cafferky floated an inviting ball to the far post, and the excellent Avril Kilkelly arrived with purpose to fist to the net. Kilkelly had already slotted over three early frees to give the Exiles a 0-3 to no-score lead, although the hosts needed a well-timed challenge from Ruanne Huntto to deny Flood as the Louth captain looked set to test Rachel Healy. When Nolan was sent to the sin bin in the 20th minute, London led by 1-4 to 0-3. It was a gilt-edged opportunity to put some daylight between themselves and their visitors. Kilkelly’s free extended the London lead to five points, but the Exiles lost their way thereafter with too many passes failing to find their intended target. A lifeline came for the Reds. With Nolan pacing the sideline, eager to return, Flood’s speculative shot suddenly had Healy back-peddling in vain on its way into the far top corner of the London net. Nolan returned with Louth having won the sin bin period (1-3 to 0-2). With the last kick of the half, London captain Catriona McGahen fired over to ensure the home side led at half-time, 1-7 to 1-6. Kilkelly gave the Exiles the start to the second half they needed, and it got better when Noelle Cocoman’s fine carry and pass put Cafferky in on goal, and the former Mayo star rounded Una Pearson with ease before finding the net. London led 2-8 to 1-6 with less than three minutes gone of the second half. But the Exiles again couldn’t build on their five-point lead as Louth dug in. The Wee County had chipped away sufficiently for Flood to level the game in the 47th minute. Twice London edged their noses back in front, only to be pegged back both times. Crucially, London failed to register a score in the last seven minutes of normal time, and the five additional minutes added on by referee Stephen McNulty. Louth struck four times in that period to ease past the Exiles on the dip for the line. Flood, who put in an inspirational performance, and Lauren Boyle accounted for all of those scores, shared evenly between them. And it might have been more had Sineád Woods’ fierce strike not cannoned back off the crossbar. But that would have been harsh on the Exiles, and given an unreflective slant on the final scoreline. London led from the first minute until two minutes from normal time, but, ultimately, it was Louth’s superior fitness which told.